Time to talk about the several changes that Real Madrid has gone through over the last months, they have come a long way since last summer. 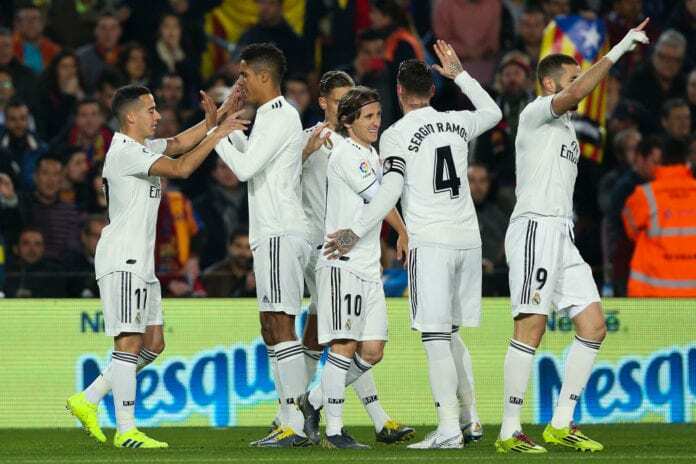 After the Real Madrid vs FC Barcelona began last Wednesday in the Copa del Rey semifinals, it suddenly became clear that Los Blancos have gone through a massive transformation within the span of a few months. From the very first moment that the current season started for Real Madrid, the fans were discouraged for a season that was about to begin without Cristiano Ronaldo. Many felt it was the end of the world and they wouldn’t be able to compete for any trophies this season. 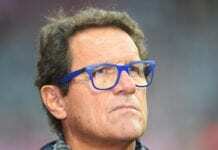 Even the first few months under manager Julen Lopetegui were a complete disaster, the Spaniard came to the club after a foul play from president Florentino Perez against the Spanish generation. You know that old saying, “what stars bad, ends even worse”. Lopetegui’s fate was sealed the moment he accepted the job at Real Madrid, he brought a lot of negativity with him after leaving the Spanish National Team just days before the World Cup. When he arrived, the manager was supposed to fill in Zinedine Zidane’s shoes and keep the players motivated after three straight seasons of winning the Champions League. The players lacked the physical condition and motivation to keep playing, but they mostly weren’t ready for a new season yet. With this poor start of the season it was evident that president Florentino Perez would consider changing the manager, he is convinced that the proper man for the job could make these players change the chip and start winning again. The club also made some very interesting investments for the future as they’ve done in the last five years, they brought Vinicius Junior from Flamengo and promised him a lot of playing time with Los Blancos but Lopetegui didn’t agree with the president’s vision and he left the Brazilian playing for Castilla under Santiago Solari. This is exactly where things started to change, as the Argentine kept experiencing Vinicius Junior at the academy, Julen Lopetegui kept digging his own grave at the club with bad decision after bad decision. When the time for his sacking finally came, it was clear for Florentino that the man who could execute his master plan better than anyone was Santiago Solari. Since then, Los Blancos haven’t looked back despite having a rocky start under the new boss. The last match against Barcelona was proof that the Argentine manager deserves to stay in Real Madrid, his contribution to all the players has pushed them forward and improved them. With Santiago Solari completely in charge of operations, one of the very first decisions was to bring back physical therapist Antonio Pintus to full-time duties. This man was the same therapist that worked under manager Zinedine Zidane, his methods were the reason Real Madrid arrived at the final stage of the last three seasons in such good form. Solari took notes of this and he immediately called Pintus, the players were able to play the World Cup and win the trophy in relatively poor shape but the best was saved for 2019. With a massive preparation plan for the players’ physical strength, things slowly started to work better and become more automatic. The last couple of months have proved that Solari made the right decision, and last Wednesday’s match tells us that this Real Madrid squad is finally ready to play the final stages of the competition in their best possible form. Not even Cristiano Ronaldo’s absence was noticed yesterday as Los Blancos really gave Barcelona a run for their money. Their transformation is not complete yet, there are many that still require fixing but Santiago Solari is certainly on the right path. How many trophies will Real Madrid win this season under Santiago Solari? Please leave your opinion in the comment section down below.